What Happens If I Was in a Car Accident While on the Job Clock? If you were in a car accident while on the clock, you probably have questions about who will pay your losses if you sustained injuries. You might think that your boss is automatically responsible for all your damages, but in some situations, both your employer and third parties share the liability. In other situations, third parties alone must compensate you. Your job is to drive a delivery truck, and you get into a wreck while making deliveries for your company. You are installing appliances at houses throughout the day, and your wreck happens when you are driving from one installation location to the next. You are on a business trip attending a convention in another city. You get into a car accident while on this business travel. You are driving the company car when you collide with another vehicle. An employee is supposed to be at work, but she leaves the job site without permission, goes to a bar, drinks alcoholic beverages while there, and then gets into a wreck. An employee is delivering a package for the boss, but on the way, leaves the intended route to go to the casino and has a crash while driving to the casino. An employee intentionally crashes a vehicle. A car accident lawyer can determine fault and help you recover damages caused by your accident. You were riding the company shuttle from the parking lot to the hospital where you work. On the way, the shuttle driver, who was intoxicated, crashed into a tree. In addition to seeking damages from your employer, you can also pursue compensation from the shuttle driver for his negligence in driving while under the influence of alcohol. You drive a delivery truck. While making your usual rounds, another driver ran a red light and t-boned your delivery truck. Both your employer and the negligent driver can be liable for your damages. You are driving a company car. The brakes failed, causing you to plow into a building. The party whose negligence is to blame for the faulty brakes can be liable for your damages. The third party could be the company mechanic who maintained the company fleet, the installer of the brakes, or the brake manufacturer. Duty of care. The defendant must have had a duty of care toward you. All drivers have a duty to operate their vehicles cautiously. In the example of the shuttle bus crash, the driver had a duty to be sober when at the wheel. Breach of the duty of care. Negligence is when a person violates a duty of care toward you. When the driver drove while drunk, he violated his duty of care. Causation. The negligence must be a cause of your injuries. Since the driver’s intoxicated state caused the smash-up in which you got hurt, the facts satisfy the causation element. Measurable damages. If you suffered physical injuries in the wreck, you satisfy this final element of damages. In addition, having physical damages opens the opportunity to claim non-economic damages, like pain and suffering. In many crashes, more than one person made a mistake that led up to the wreck. If you were partly to blame for the car accident, you can still recover some of your damages. Georgia follows the law of comparative negligence, which allows you to collect compensation, but reduces it to account for the percentage of your fault. Let’s say that your damages were $100,000 from an accident. If the judge found you to be 10 percent at fault, you could still get $90,000 for your losses, after the law deducts your proportion of the total negligence. You might have questions about who is responsible for your injuries if you got hurt in a car accident during your workday. The team at S. Burke Law will be happy to answer your questions and explain your right to compensation. Just call us at 404-842-7838 to set up your free consultation. There is no obligation, and we do not charge legal fees until you win. Sometimes eyewitness testimony can be valuable after a car accident, but only if the witness’s account is accurate. A factually incorrect eyewitness can do more harm than good in a lawsuit. Contact our firm at 404-842-7838 to learn more about eyewitness testimony and how it is typically important for car accident cases. You can also find out additional information such as how fault is determined in a car accident and what’s considered negligence in a Georgia car accident. The police report gets the facts wrong. Let’s say that you were driving west in the late afternoon and the sun was in your eyes. Someone ran between two parked cars on the side of the road into your path. Because the sun impaired your vision, you did not see the person in time to stop. The police report incorrectly says that you were driving east. If an unbiased third party, such as a person on the sidewalk, testifies that he saw you driving west, what he says can bolster your argument. 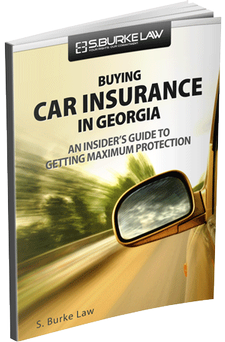 Find out if you’re required to call the police if you’re involved in a Georgia car accident. Settling a “he said, she said” situation. Some people try to lie their way out of situations to avoid having to pay for the harm they cause. If you were in a wreck and the person who ran the red light tells the officer that you caused the accident, the testimony of an eyewitness who saw the driver crash into you can be valuable. Judges hear so many people lie that they almost expect people to fabricate stories if doing so helps their cause. Eyewitness testimony is often important for car accident cases, but some inaccurate testimony of eyewitnesses is intentional. But other times a witness can sincerely believe that he is describing what happened, even if he is mistaken. He wants to help someone else involved in the accident. If, for example, the eyewitness was the spouse of the other driver, riding in the same car, she will have a motive to relate the story in a way that is favorable to her spouse. He wants to harm your case. Truth is stranger than fiction sometimes. Let’s say that you happen to have a crash at the moment your former spouse is walking along the sidewalk. If the divorce was less than amicable, he might take pleasure in painting you in a negative light. The eyewitness did not see the entire event. Either the person did not observe what happened from start to finish, or her angle on the scene was incomplete. If the witness turned to look because she heard the crash, she did not see what led up to the accident. Anyone who watches instant replay in football games knows how much the angle from which you see something can affect the accuracy of the information. Imperfect memory or understanding. The brain cannot tolerate a vacuum, so it will fill in tiny gaps in our recollection with information, even if it has to create the data. This concept is reconstructed memory, which can be flawed or flat-out wrong. Hundreds of people get wrongfully convicted based on eyewitness testimony, only to be set free years later because of DNA and other forensic evidence. If you suffered an injury in a car accident, call S. Burke Law. We will discuss with you whether you might be eligible for compensation and also answer any questions that may arise about eyewitness testimony and the important role it can play in car accident cases. Call us today at 404-842-7838 to set up your free consultation. If you miss work and do not get paid because of an injury, the wages you lost can be compensatory damages. It will depend on the facts of your case, but the team at S. Burke Law will sit down with you and review your circumstances to see if you are entitled to recover your lost income. Contact our firm today at 404-842-7838 if you have any questions about lost wages being compensatory damages. The Georgia Code provides that lost wages in a tort case (in which someone else’s negligence, carelessness, or intentional act harmed you) are “special and consequential damages.” Special damages are losses that the tortious act causes. We must prove special damages for you to recover them. Your employer’s records are a common way to prove your lost income. Whether your employer pays sick leave. Whether you had any available sick time or had already used it for other events. Whether your recuperation time exceeded your available paid sick leave such that you went without pay during part or all of this period. Lost income, which you can calculate or estimate using your average wages. Medical expenses, which you can determine by adding up your medical bills. 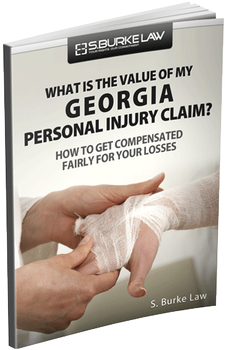 Find out more about what types of damages you can recover through a Georgia personal injury claim. Hourly workers: We will add up the total number of hours you missed and multiply that by how much you earn per hour. If you work 40 hours a week at $25 an hour, your gross wages are $1,000 a week. Your lost wages are $3,000 if you missed three weeks of work because of your injury. Salaried employees: We take your regular salary times how long you were out of work. If you earn $4,000 a month and you missed two months of work, your lost wages are $8,000. Self-employed persons: We have to look at these situations on a case-by-case basis, since taxable income does not always reflect actual income, due to the many business expenses and deductions for the self-employed. Irregular income: We typically use the average of your earnings if your income varies from one week or month to the next. For fields with a “high season,” however, we have to use a different approach. An accountant who makes much more money during tax season is one example of when we have to apply different formulas. Learn more about how you calculate lost wages in an injury claim. An injured person has a duty under Georgia law to mitigate damages through ordinary care and diligence. The court can reduce your compensation if it feels that your damages were excessive. For example, if a person stayed out of work for 10 years for a sprained wrist, the court will likely award him only the amount of lost wages that it feels is reasonable for that type of injury. If you lost wages from an injury and seek compensatory damages and would like to find out how much your case is worth, call S. Burke Law at 404-842-7838 to set up your free consultation. There is no obligation. The statute of limitations controls the amount of time a person must file a lawsuit. If you do not file your case by the deadline, you lose the right to seek damages, no matter how severe your injuries were. When a child is the one injured, the statute of limitations can be different than for an adult. The law often allows children more time than adults to pursue legal action in the interest of fairness. Contact our firm today at 404-842-7838 so we can answer any questions you may have about the statute of limitations for a child injury case. In general, when an injured person is under the age of 18 at the time of the incident that causes the harm, the statute of limitations for a child injury case will not start to run until the person turns 18. In other words, if a person must file a lawsuit within two years of the injury, but that person is a minor, she will have two years from the date she turns 18 to bring the legal action. Injury to reputation has a filing deadline of one year. Personal injury cases that include a claim for loss of consortium (which involves damages to the injured person’s spouse) have a filing deadline of four years. Applying the tolling of statutes of limitations laid out in Section 9-3-90 would start the clock running for these periods of time once the child turns 18. An adult who is injured or killed by medical malpractice in Georgia has two years to file a lawsuit. Under some circumstances, this deadline can be as long as five years. For children, however, the statute of limitations for medical malpractice claims can vary from this general rule, depending on how young the child was at the time of injury. Find out if there is a cap on medical malpractice damages in Georgia and if parents can sue for wrongful death. If the plaintiff sustained an injury because of negligence in the planning, supervising, or constructing improvements to realty, the timeline for filing a lawsuit is much longer than for a typical personal injury case. The reason for the additional time is that it can take years for defective construction to fail and injure people. An action for personal injury or wrongful death must start within eight years of the substantial completion of the improvement (construction). If the injury happens during the seventh or eighth year, however, the law allows two additional years, for up to 10 years, to file a lawsuit. Within two years of the date that the plaintiff realized or should have realized the abuse and injury, even if after the age of 23. Children do not have the right to file lawsuits because the law considers people under the age of 18 as lacking legal capacity. If a 16-year-old, for example, files a lawsuit for personal injuries, the court will dismiss the action as soon as the judge realizes that the plaintiff is underage. Since a child cannot file a lawsuit for himself, he is at the mercy of others, usually his parents, to file an action on his behalf. If the parents do not take legal action, the child would lose his right to compensation if the typical statute of limitations passes before the child turns 18 and can file his lawsuit. This is why children have a different amount of time than adults. We understand that all these statutory rules and exceptions to the rules can be confusing regarding the statute of limitations for a child injury case. You do not have to figure out which rules apply to your or your child’s injury claim. Call S. Burke Law at 404-842-7838 today. We will set up a meeting with you to talk about the injury and the procedural regulations that will control your case. We do not charge you for this service. In fact, we will not charge any legal fees until you get the compensation you deserve. Diminished earning capacity refers to a decrease in income as a result of an injury that affects your ability to continue doing your current job or robs you of career prospects for the future. The injury must impact your ability to earn money for you to get compensation for decreased earning potential. In some cases, the injury directly affects a person’s current job, but you do not have to be already doing the specific type of work to suffer a loss of earning capacity. Let’s say that a person’s dream was to become a surgeon. He completed medical school and was in the second year of his surgical residency (surgical training program) when a car accident left him without sufficient use of his hands to work as a surgeon. He has lost that employment option and suffered a significant financial loss as a result, so his diminished earning capacity is compensable. If you break your leg and temporarily cannot stand for long periods of time, the injury could cause you to lose income in the short-term while you recuperate from the fracture and undergo physical therapy to rebuild the strength in your leg. There can be a claim for lost wages for your current time off from work, but if you heal completely without any residual impairment, you probably will not get damages for decreased earning potential. On the other hand, some injuries can set you up for work-related problems for the rest of your working life. A severe back injury, for example, can leave you unable to lift heavy objects even after the back heals. In situations like this, the impairment eliminates the prospect of many types of work. Doctors who can testify about the permanence of the injury. The judge needs to know how long the medical professionals expect the effects of the injury to last. Vocational experts who can testify about how the injury impairs the plaintiff’s work options. These professionals can explain how particular injuries affect the plaintiff’s current job or limit his future job possibilities. Economic experts who can testify about the economic impact of the impairment on the plaintiff’s potential future earnings. Often, the vocational expert also serves as the economic expert by calculating or estimating the financial value of the plaintiff’s decreased earning potential. You do not have to sort out what your damages are and how you will prove them. The team at S. Burke Law will take care of the legal process for you. Give us a call today at 404-842-7838, and we will schedule a time to sit down with you and talk about your right to compensation. The consultation is free. Whether a slip and fall case will be hard to win depends on the facts of the case and the available evidence. Since every situation is unique, it is impossible to say whether your slip and fall case will be easy or hard to win until we talk with you about the circumstances. Call our firm of personal injury lawyers today at S. Burke Law at 404-842-7838 for assistance. The evidence we have in hand must prove your claim for compensation. The landowner owed you a duty of care. For instance, you went to a movie theatre to watch a film with friends. The property owner owed you a duty to exercise ordinary care to keep the premises and approaches (such as parking lot and sidewalks) safe. The landowner failed to satisfy its duty toward you (negligence). It was autumn, and there were many leaves on the sidewalk from a maple tree in front of the theatre. It rained the night before, and the leaves were slippery. Leaving glossy leaves on the sidewalk was negligence on the part of the movie theatre. You suffered measurable harm as a result of the landowner’s negligence (causation). Your feet went out from under you as you walked on the leaves to get to the ticket window, and when you landed hard on the concrete sidewalk, you broke your tailbone. You went to the emergency room, where the doctor took x-rays and prescribed painkillers and rest. Your recuperation was within the standard eight to 12 weeks for this type of injury, so you missed work and lost wages. Your medical expenses and lost wages were measurable harm that you experienced because of the landowner’s negligence. Since you sustained physical injuries, the movie theatre will also have to pay your non-economic damages, like pain and suffering. Merely notifying the movie theatre of your injury is seldom enough for you to receive compensation. We must compile the evidence to prove to them what happened. With the right evidence, slip and fall cases are winnable. The negligent condition on the property. If possible, take a photo of the place where you fell right away, before the theatre has time to clean up the situation – in this case, the wet leaves. Today’s cell phones take high-quality photos. Getting a lawyer on board as soon as possible can also help, as the lawyer can preserve and document evidence. Your injuries. We will use your medical records to show the harm you suffered and to link your injuries to the date of your visit to the movie theatre. Make sure that you tell the doctor where you were when you fell. Your lost wages. Your employer’s records will establish the amount of income you missed because of the injury . If you are self-employed, we can use other available records. We put all of the evidence together and add up your economic damages, which are the “out-of-pocket” items like medical bills and lost wages. We then calculate the fair amount for your non-economic damages, which can include things like pain and suffering, inconvenience, and your spouse’s loss of consortium. Do not despair if you were partly at fault in your slip and fall accident. Perhaps you were distracted or tired, and not as cautious as usual. Everyone is human. 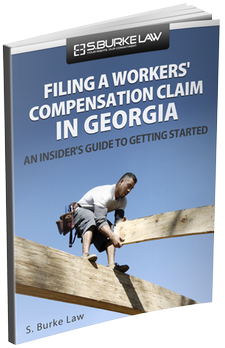 Georgia law allows you to recover compensation – albeit a reduced amount – for your injuries under the rule of comparative negligence. The law will subtract from your damages award an amount that is in proportion to your percentage of the total negligence. For example, if you were 10 percent at fault and you had $80,000 in damages, you will get $72,000 in compensation after the $8,000 reduction for your 10 percent fault. How to Get Legal Help for Your Slip and Fall Case in Georgia. Help for your slip and fall case and finding out if it’s difficult to win is but a phone call away. The team at S. Burke Law is waiting to hear from you and set up your free consultation. If you call us today at 404-842-7838, we will schedule a meeting with you so that we can evaluate your case and advise you on your legal rights. There is no obligation, and we do not charge for the consultation. Can You Sue a Restaurant for Slip and Fall? You can sue a restaurant for slip and fall if their negligence caused your injury. The restaurant is not automatically responsible for your damages just because you fell on their premises. Restaurants must, however, pay the damages of people who suffer harm due to the company’s carelessness. Call the team of personal injury lawyers at S. Burke Law today at 404-842-7838 to discuss your legal options if you are thinking about suing a restaurant for slip and fall. Invitee. An invitee is someone the landowner or tenant invited onto the property, expressly or by implication, for any lawful purpose. For instance, if you went to the restaurant to have a drink or eat a meal, you are an invitee. Georgia law requires that the landowner or tenant exercise ordinary care to keep the property and approaches (like sidewalks) safe for invitees. Licensee. A licensee comes onto the property strictly for his own benefit, and not to transact business with the landowner or tenant. For example, if you went into a fast food restaurant to use the toilet but did not buy any food or beverages, you are a licensee. Under Georgia law, the restaurant does not have to keep the premises safe for invitees. The landowner or tenant simply must not cause willful or wanton injury. Trespasser. A trespasser enters the property without the invitation or consent of the landowner or tenant. Someone who is on the premises illegally is a trespasser. The landowner or tenant has no duty of care toward the trespasser. Georgia law does not, however, allow the owner or tenant to cause intentional harm to the trespasser. In addition, the owner and tenant are not permitted to “booby trap” the premises. For example, if you are trespassing on property and you slip and fall, sustaining injury because the owner or tenant poured a slick substance on the ground to make trespassers fall, they are liable for your injuries. The restaurant must have owed you a duty of care. The level of care the company owed you depends on why you were on the property (invitee, licensee, or trespasser). The restaurant failed to meet the duty of care appropriate for your status on the property (negligence). You suffered measurable harm because of the restaurant’s negligence. There was a dangerous condition (slippery or slick walking surface) in the restaurant or on the approaches (sidewalks). The restaurant knew or should have known about the hazard. The restaurant did not take action to repair or post sufficient warnings about the situation before someone got hurt. Sometimes the same person or corporation that operates the restaurant also owns the property, but that is not always the case. For example, if the restaurant is in a shopping center or other multi-unit commercial development, the restaurant business might lease the premises from the landowner. Depending on the facts of your case, both the restaurant operator and the property owner might have legal liability for your injuries. You do not have to investigate this issue, however. We explore the possibility of multiple defendants for our clients. Georgia follows the rule of comparative fault when the injured person was partly at fault. The law will apportion fault among all the negligent parties, then subtract money from the plaintiff’s damages award in proportion to his amount of fault. Let’s say that a server spilled some liquid on the floor after clearing a table and went to get a mop, but did not block off the area. Before she got back with the mop, a customer who was a little tipsy from too many glasses of wine slipped and fell on the spill. The judge might find the restaurant 80 percent at fault and the injured person 20 percent negligent. If the injury damages were $50,000, the plaintiff could receive $40,000 after the deduction for his negligence. You do not have to sort out whether you were an invitee, licensee, or trespasser, or what duty of care the landowner or restaurant owed you. Call S. Burke Law at 404-842-7838 and set up a free consultation with us about whether you have a valid case if you want to sue a restaurant for slip and fall. We will discuss your injury claim with you. There is no obligation, and we do not charge legal fees until you receive compensation.